Friday’s Fresh Five! (8/24/12) | What about this? The outside temperature says it’s another hot summer day, but the heat doesn’t stop me from going outside with my camera. I know I will never get this day back again, so I seek to capture bits and pieces of it to enjoy and to record in my memory. Looking through my camera lens, I see things differently. 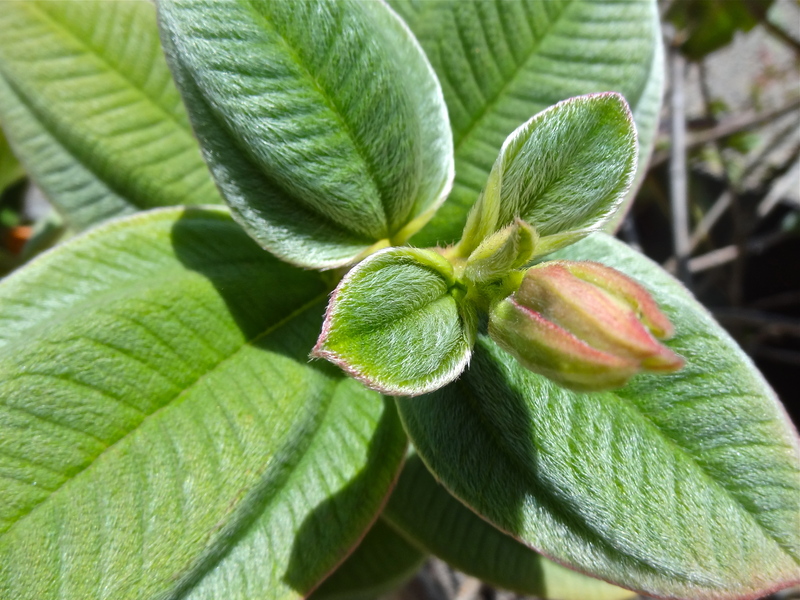 Something mundane or ordinary becomes extraordinary when focused on intently. If you always look at things from the same distance and in the same way, they will never change. However, if you zoom in on them, you might see them in new and exciting ways. 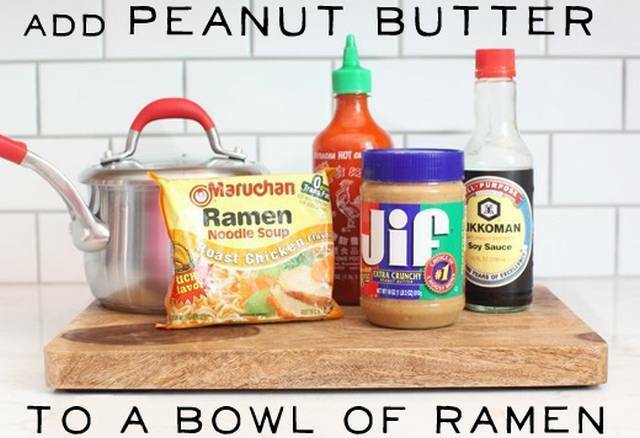 Creativity reigns in the kitchen if you think outside the box. Here’s a series of ideas from Easy Food that are so interestingly-good, they need to be shared! 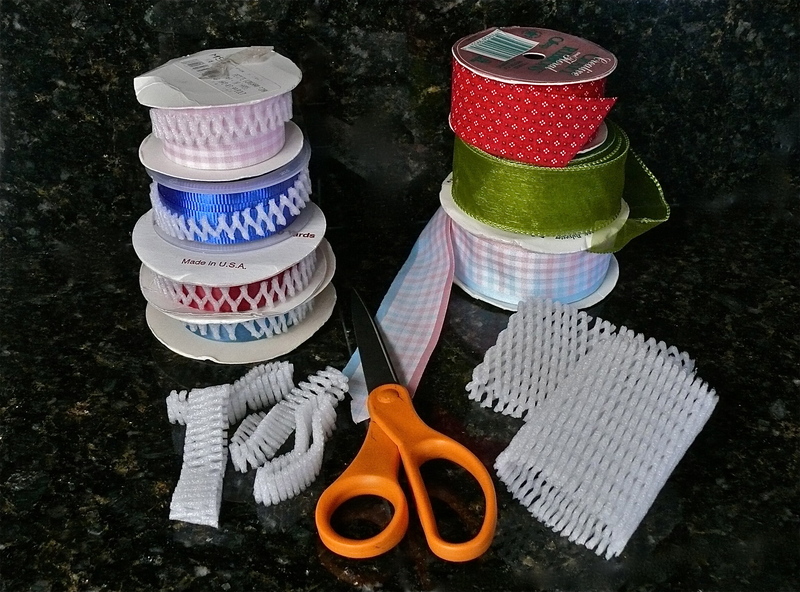 While cleaning out my craft closet this week, I came up with a way to keep my many spools of ribbon from becoming a tangled mess in their tray. After cutting tubular accordian-foam sleeves, that protect fruit packed in boxes, into narrow bands, I placed a band around each spool of ribbon. Each band gently prevents the ribbon from unrolling. These bands work so much better than rubber bands, which can crush the ribbon, or tape, which can leave a sticky residue on ribbon. I’ve also used these foam sleeves to keep my rolls of wrapping paper from unrolling and for protecting fragile Christmas ornaments while they are in storage. Three ways to reuse something that’s normally tossed away! 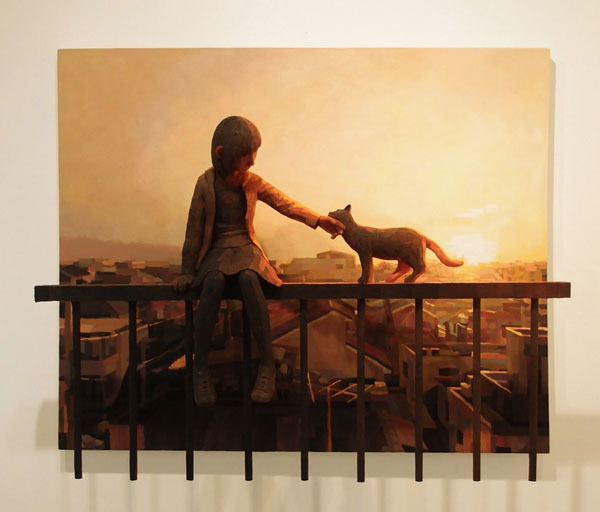 Born in Hiroshima, Japan, artist Shintaro Ohata creates work of art that depict the “little things in everyday life.” His charactersistic style tells his stories by combining 2-D and 3-D elements – by placing sculptures in front of paintings. Additional dramatic effect is created in his artwork by his extraordinary ability to paint light and by his use of a young girl as his subject and representation of youth. Here’s an example of someone who looks at and thinks about pillowcases differently. When her Great Aunt Willie passed away from ovarian cancer a few years ago, 10-year-old Madison Zenker, founded Cases for Cheer, a nonprofit that makes and donates colorful pillowcases to cancer patients. Now thirteen-years-old, Madison continues to bring cheer to those going through cancer treatment and is a wonderful example of how someone so young, with a simple idea and the desire to help others, gives hope for the future of our world. If interested in donating funds, fabric, or time to Madison’s cause, check out Cases for Cheer. Tap into your “fountain of youth” this weekend by doing something you love!